In 1881, Judge Edmund F. Dunne came to this area from Arizona and homesteaded. Judge Dunne was one of the attorneys involved in negotiating Hamilton Disston's purchase of four million acres of Florida Land in 1881, and he took his attorney's fee as an option to develop a tract of 100,000 acres in the newly acquired lands. In 1882 he selected a plot of land at the top of a hill east of Lake Jovita as his new home. That parcel of land is where St. Leo Abbey now stands. Judge Dunne was a Catholic who was on a mission to establish a colony where people of his own faith could settle and live without persecution. He selected one full section of land to the west of Lake Jovita for his new colony, and named it San Antonio after Saint Anthony of Padua. He laid out streets in a rectangular grid with a traditional public square at the center. Land was also set aside for a school, monastery, and an orphan's home. 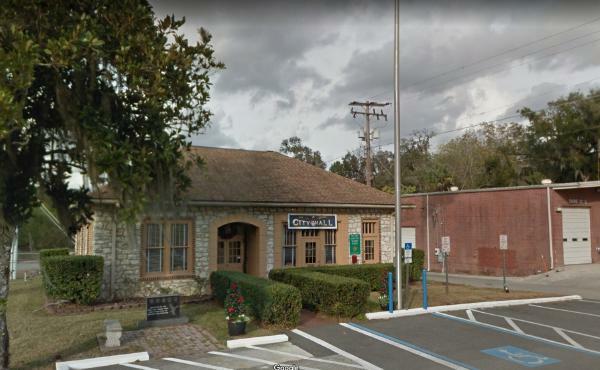 By the late 1880's, the town of San Antonio was already well populated due in large part to the arrival of the Orange Belt railroad, which passed through the city on its route to Tampa. This made it easy to ship goods, livestock and farm produce to northern cities. In 1889, Judge Dunne conveyed the lands of his homestead to the Order of St. Benedictine, and the town of Saint Leo was founded at that location. Each October San Antonio hosts one of the most unique events you'll find in Florida ... the Rattlesnake Festival. In addition to the festival atmosphere provided by arts and crafts vendors, and kids games and rides, you'll find a number of wildlife exhibits and snake exhibitions. Gopher tortoise racing is also popular at the festival.